Indian weddings/functions are incomplete without Mehndi as it not only looks gorgeous on your hands but is also believed to bring good fortune. 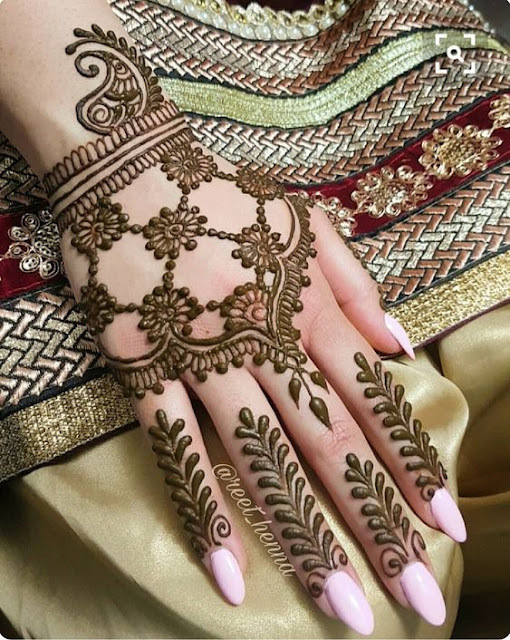 Brides these days are on a constant lookout for new, fresh and unique mehndi designs which apart from being stunning, have a personal touch to them. 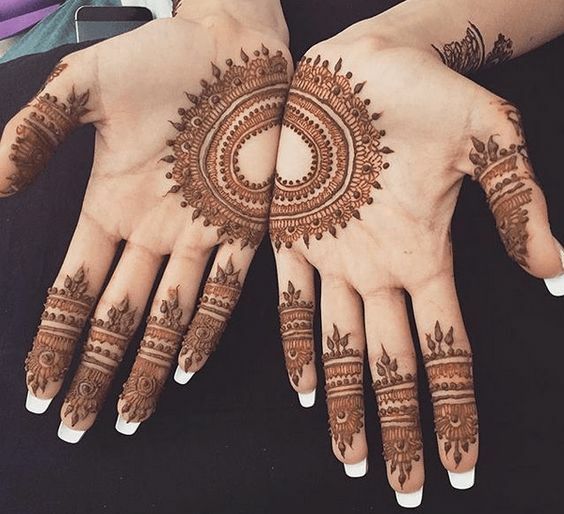 There's a new trend these days of many women applying Henna designs on their own for different occasions and we at Bling Sparkle can't help but cheer these ladies and make their effort a little less complicated. To help you with the same we bring to you some new, unique, fresh and absolutely gorgeous mehndi design ideas for beginners. 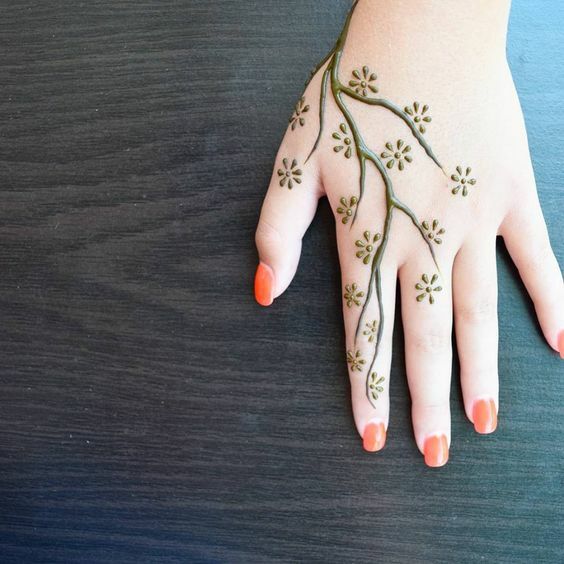 One can adorn these easy yet pretty mehndi designs on a friend's wedding, Eid, Diwali, or just about any other function/festivity! 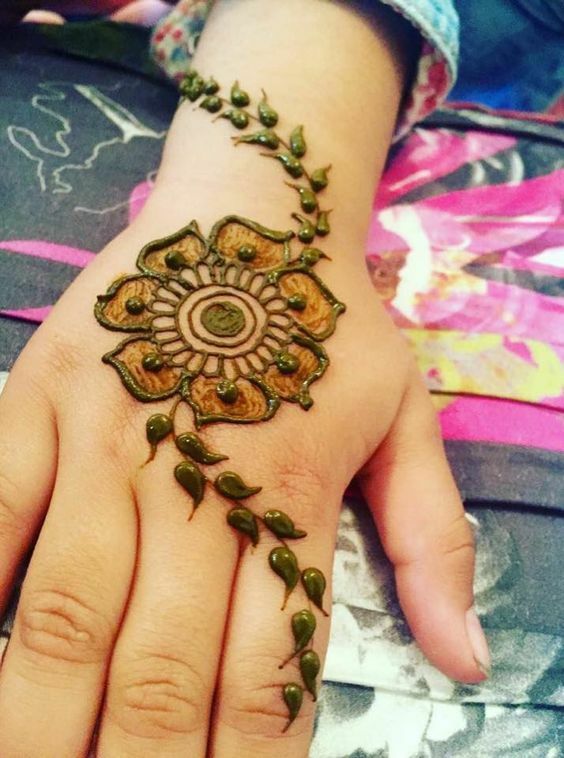 The best thing about these simple mehndi designs for beginners is that you don't have to be a proffesional in Henna art to achieve them and and just about anyone can try them out! 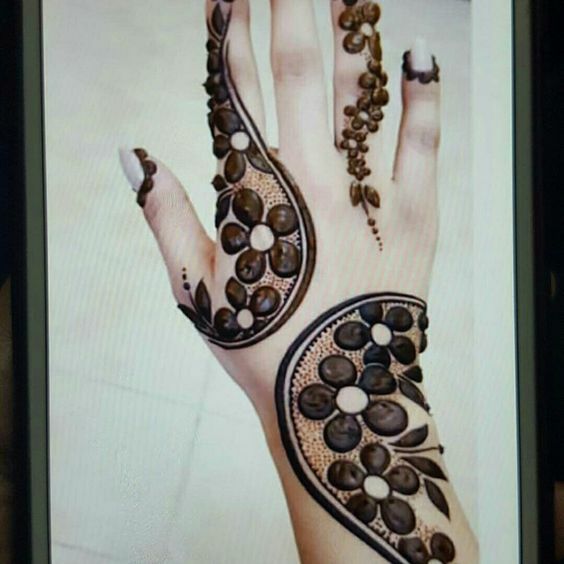 These Henna designs are hassle free, can be achieved within a few minutes and give you just that gorgeous finish you always wanted. From Floral mehndi designs to Jaali mehndi designs and Hand glove mehndi designs, we have something here for every taste. So why get started and have a look at our curated list of new mehndi design ideas for beginners?.. Mesh or Jaali mehndi designs are an all time favourite and I personally love them for their sheer beauty and simplicity! 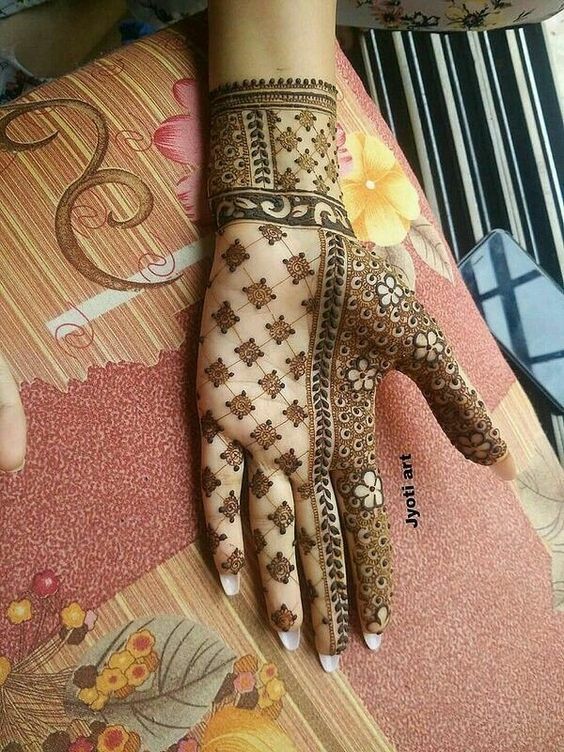 Jaali mehndi designs are super easy to create and instantly glam up your hands which make them an ideal choice for beginners. 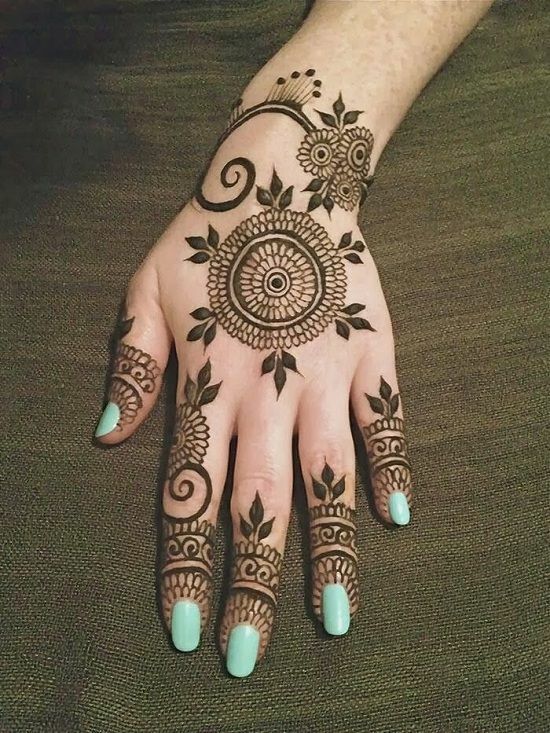 If you are new to drawing Henna art and want something really pretty without much effort than I suggest you start with the above Jaali mehndi design. You can also check out our list of specially curated Jaali mehndi designs. 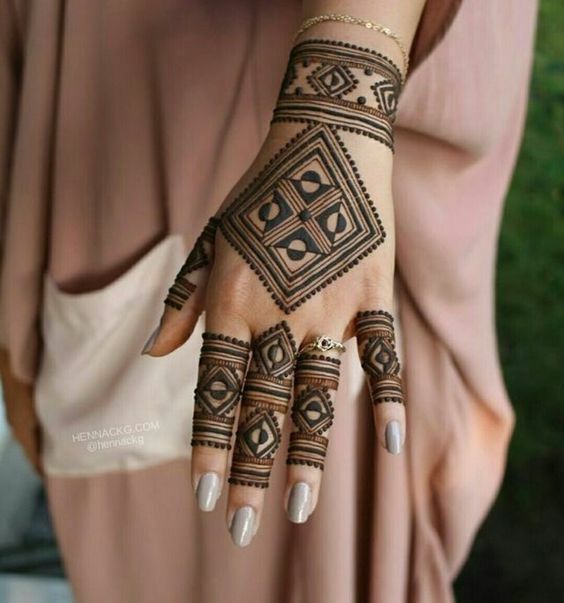 I personally love applying Henna mehndi on the back of my hands more than my palms and I am currently loving the hand harness / Bracelet Henna mehndi design ideas circulating on the web. Wearing jewelry is a joy in itself but getting jewelry temporarily tattooed is a different thing altogether! 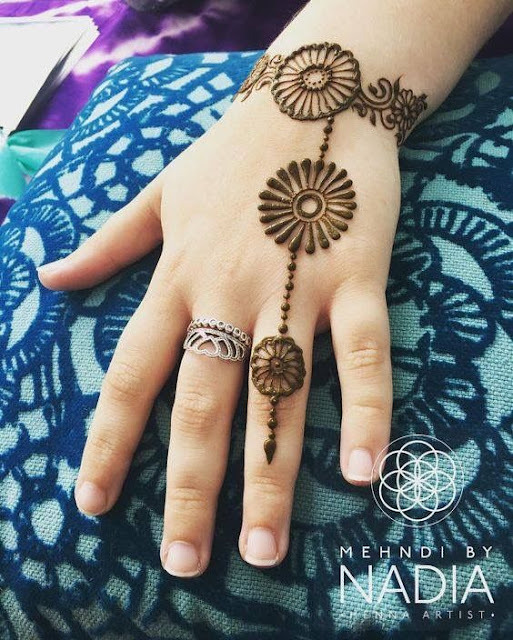 You can also check our list of Henna mehndi designs which look like real jewelry for more inspiration. Talking about mehndi design ideas for beginners, it can't get more simple yet gorgeous than the above floral mehndi design. It's shaded nature makes it a trendy and super unique choice. The tiny scattered dots are only adding to its beauty and making it a perfect design for any function/festivity! If you are a beginner in drawing Henna mehndi designs then starting with Arabic mehndi designs is your best bet. 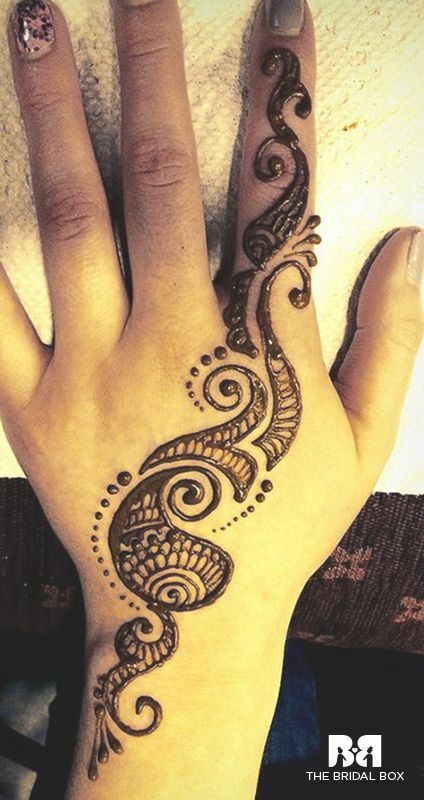 Arabic mehndi designs are super easy to create and don't take as much time as some intricate Indian mehndi designs do. 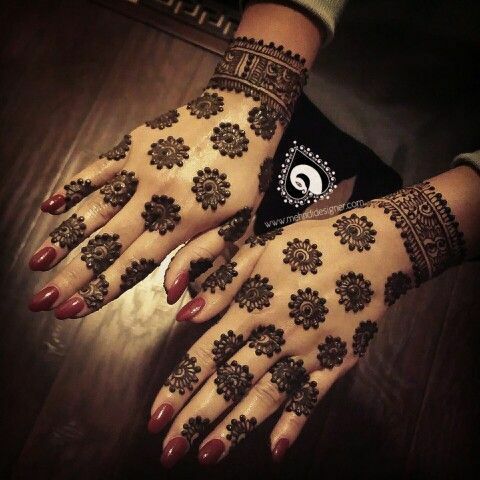 Check our list of the best hand picked Arabic mehndi designs for more inspiration. 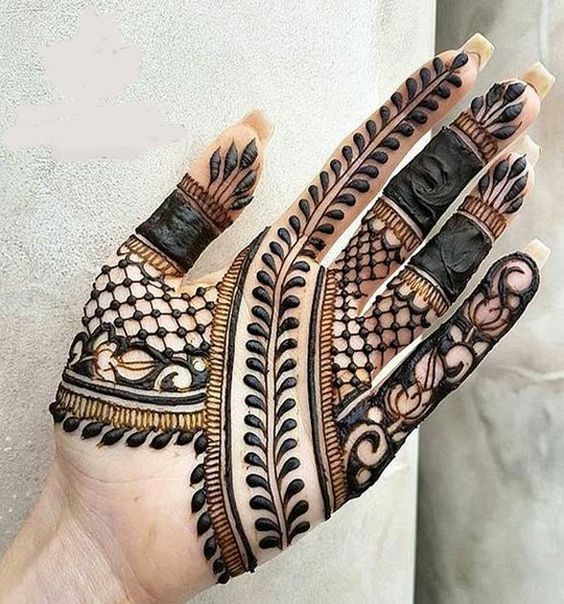 Simplicity has a charm of its own and the same shows in the above mehndi design idea for beginners! You can achieve the above mehndi design in five minutes, pair it with your western/indian outfit and flaunt it away! 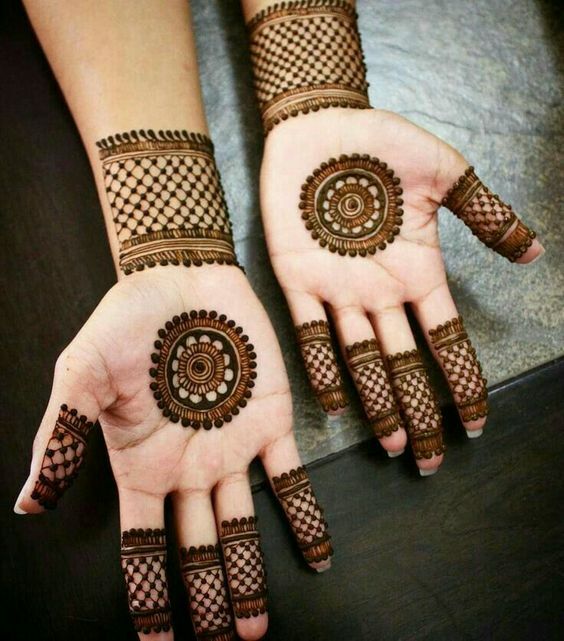 Which of the above new and unique mehndi design ideas for beginners do you adore? Let us know in the comments below!